The courageous Tris is ready to get in on the action in this year’s must-see film, THE DIVERGENT SERIES: INSURGENT. We now have an inside look at her major transformation in a BRAND NEW FEATURETTE. The story of Tris and Four continues as they race against time in order to protect the future of their world from the Erudite elite. Go behind-the-scenes now to get a deeper look at the new Amity, Factionless, and Candor settings, and explore some of the mind-bending visual effects for the first time. Now’s your chance to hear what your favorite stars and writer Veronica Roth have to say about the exciting scenes and amazing stunts in INSURGENT, including one-on-one time with stars Shailene Woodley, Theo James, Academy Award® Winner Octavia Spencer, Zoë Kravitz, Ansel Elgort, Mekhi Phifer, Naomi Watts, and Academy Award® Winner Kate Winslet. Be sure to catch this action-packed sequel when it hits the silver screen nationwide in 2D, RealD, and Digital 3D on March 20, 2015! 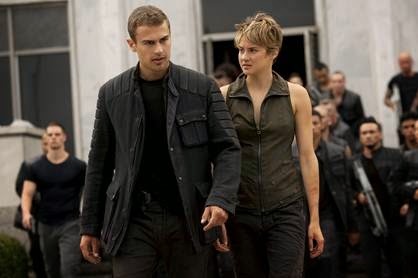 THE DIVERGENT SERIES: INSURGENT hits theaters nationwide in 2D, RealD, and Digital 3D on MARCH 20, 2015!